Got to spend a decent bit of time working on the game the last couple of days. I decided to refactor the code and put it into a new file. I’ve now implemented it inside an API called ‘storyboard’ which handles having different scenes in an app (eg. a menu screen, game over screen, game screen etc). The code had gotten a bit messy from working on it so I went through and condensed duplicated stuff into functions and cleared out old variables and other stuff that had become redundant. So now the game is in a nice clean new form now I’ve been trying to nail down the controls. 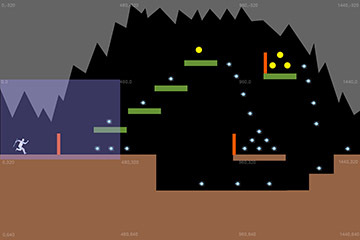 Adding the sliding ability of the player has proved to be a headache. There are so many different scenarios I need to account for during collisions with various things and how that affects whatever action the player is doing at the time. Also to enable sliding using the physics engine I broke the player object into about 5 different physics bodies. The physics engine is a bit buggy and often the player physics bodies will sink into other bodies such as walls etc which can mess the logic that needs to be performed. Also I’ve found that when the platform objects sink into the player object sometimes the player will get caught on one of his other physics bodies so will get stuck on the corner of the platform. I’ll have to keep working the controls to get them nice and polished. This would be the collision detection. I just import this into PhysicsEditor, click ‘Trace’ and it’s done. Now I can make any kind of level section I can imagine. I’m hoping to have interior and exterior segments to add some variety. I decided I should get some temporary level sections implemented so I can make sure the whole system is running smoothly before I start adding content. So I went and had a look at what my options were for creating the levels. My first option is to just code the placement of the level assets manually. This however is extremely tedious and feels like there must be a better way. So I went looking. The first tool I looked into was LevelHelper. At first this tool seemed to be exactly what I was looking for, however it wasn’t until I’d spent most of the day learning to use it that I found out it is not really useful for an endless runner game. This creates a level that is dependant on the LevelHelper API and creates an encapsulated level that you can’t fully access as well as you could if you coded it. So making sections that spawn randomly and then move is difficult if not impossible with this tool. If however I was making a game with defined levels then this tool would be great. The guy that made this has also made a couple of other great apps including CodeHelper (which I’m currently using) and SpriteHelper. Both of these support Corona and are useful in your toolset. The next level tool I tried was called Tiled. This is a great app and really fun to use. The problem I found with Tiled was similar to above. It can export the level to either a JSON or LUA file but then you need a third party add on to bring that into Corona. Again there are just too many hoops to jump through that make coding the game more difficult especially if there are things being utilised that are not under my control. Maybe there is a way to use this in the way I would like but I’m not experienced enough to know how. Again tiled is great if you want to make predefined levels rather than a procedural one. 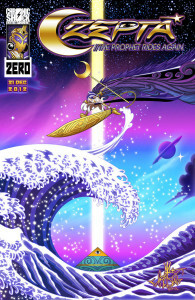 The only other one I’ve found so far is by Karnak Games: http://karnakgames.com/wp/corona-svg-level-builder/ however this one costs US$99 and has no demo that I know of to check if it will be useful. From what I’ve read it again does the same thing as above and prevents you from full access. What I really need is an editor that just allows me to freely place my assets and then spits out a Lua table that contains the asset parameters that I can then do with what I want. Perhaps in the future when I have learned more programming this will be something easy to achieve. Until then however I’ll keep my eyes out for other options and just continue using a mixture of photoshop and code to make the levels. If anyone else knows of some good options let me know! 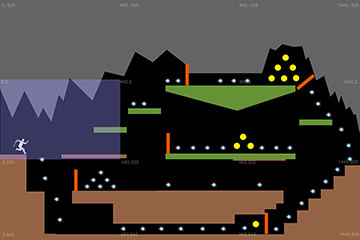 Today I did a bit of work just creating a few level sections just to get something in there to get a feel of how I’d like to design the level. The level will be made up of a number of random ‘segments’ that will be randomly stitched together to create an endless procedural level. I’m making each segment quite big, about 3 times the screen size as I want there to be multiple paths you can take and have the chance of finding hidden things. The game will be mainly about exploration except you won’t have the luxury of going back to choose a different path. You as the player will have to dynamically choose paths on the fly and see where they lead. Paths that are more difficult will reap greater rewards whereas easier ones may allow you to maintain your focus. Sometimes choosing a more difficult path will be hazardous as there may not be as many focus orbs and you may risk losing focus on that path if you are not focused enough before embarking on it. 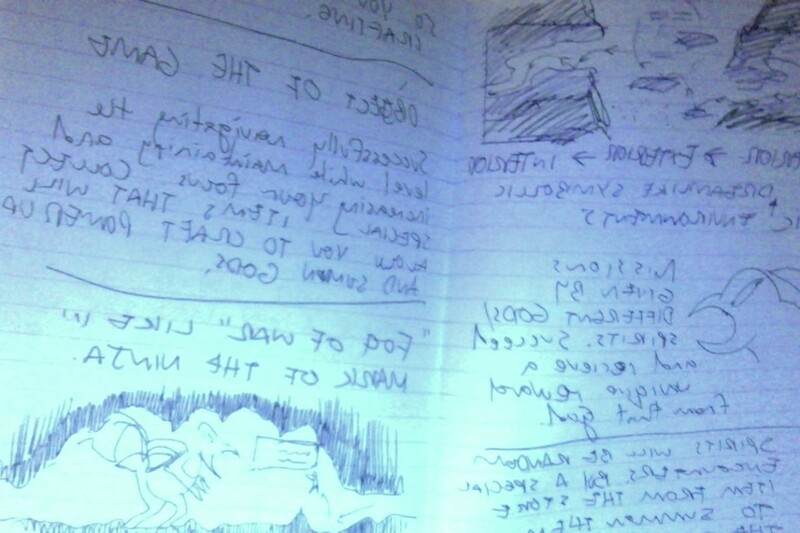 Today at the Gnostic class I came up with another cool idea that I’m planning to stick in the game – but more on that later. The main thing we learn in Gnosticism is meditation and often while meditating and attempting to prevent thoughts sometime I’ll slip and have a great vision of an idea for the game or my comic CZEPTA. This leads me to believe that harnessing meditation as a way of conjuring and exploring ideas for my work could be powerful. When life and art walk hand in hand magic is born. More his story, randomness and tutorials related to the learning of video game creation. A few years ago I decided for a reason I have since forgotten to give up on being an animator and film director and decided to go to university. I never finished high school. I left when I was 16 to study animation in Auckland. Luckily in New Zealand one is able to gain entrance to University once they turn 20 if they do not have the required qualifications usually needed from high school. 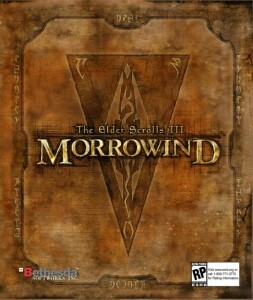 At the time I was obsessed with playing a couple of the Elder Scrolls games – Morrowind and Oblivion had just been released. These games really got to me. The depth of the world and the freedom was something that I had never experienced before. Then I discovered the Mod community which led me in even deeper. At the time there were many discussions about how to bring the world of Morrowind into the Oblivion game (which has since been done I believe) and I began digging around in the level editor and discovered how to bring the assets in. I began thinking of what I could do with this new found knowledge and made a failed attempt to create my own story based mod. Anyway during this experience I became interested in the idea of learning computer science and so that’s what I enrolled in at Auckland University. It didn’t last long but I managed to complete the 101 course and so had my first experience programming. I enjoyed it a lot. We made a bunch of small games and I found programming itself a lot like a puzzle game whereby manipulating various phrases you could make all kinds of cool things happen. Now back to the present. My brief stint at Uni gave me a leg up now when I was starting to learn to code again. The basic concepts of how it works were still there so learning the language (Lua) was not completely alien. As I began to type it felt good like a fond memory and I began learning the language as quickly as a three year old. Although, what I’ve learned so far is just the basics. This is what I have so far… ready for the app store right? My progress so far. I have my character (blue box) with controls working (swipe up = jump, swipe down = slide, swipe forward = attack), there is a random level generator, a “focus” bar that decreases over time and triggers a game over when it runs out. There are a few objects – blue orbs add focus, red ones decrease it. The red blocks are obstacles you must attack to pass through. There is also alot of collision stuff in there to make it so you have to slide to get through tunnels and so you can’t slide through obstacles etc. Well that’s all I’ve got for now. Below are a couple of tutorials I completed to learn some of what I implemented above. Definitely worth doing if you are new to programming and learning corona. 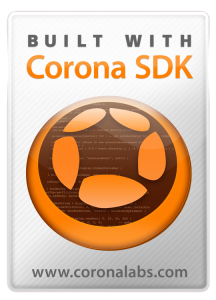 Mobile tuts+: Corona SDK – Build and Endless Runner From Scratch! It kind of happened suddenly. I was busy working on comic pages at my desk listening to indie game dev podcast when the host mentioned an SDK (software development kit, I had to look it up) named Corona. Enthusiastically he commented that ANYONE could make a game with it and perhaps a successful one at that. I’ve been doing comics for a while but knew that it is becoming more and more and niche medium and that if I was going to do them, they would have to be digital. There have been many different ways of doing digital comics but none of them felt quite right for what I was interested in doing. At some point I started listening to podcasts and watching videos of people making games and slowly the idea began to creep up on me. Here was a medium that used pictures and required interactivity where the only limit on what you can do is your imagination. I’ve been a gamer my whole life since playing ‘Shufflepuck Cafe’ on my Nanna’s Amiga. Another early memory was playing ‘Jill of the Jungle’ off an assortment of floppy disks. I remember playing Doom, Wolfenstein and Duke Nukem 3D on friends PCs whenever I got the chance. My dad would occasionally bring back games from over-seas travels such as Myst, Grim Fandango and MechWarrior. On weekends it would be Final Fantasy, Resident Evil and Tony Hawk once the Playstation came out. I’ve toyed with the idea of making my own art in most mediums, film, music, comics, novels, but never considered making a game before. Games alway seemed like they just showed up from the aether, handed down by the gods of entertainment. When I got older it was obvious they required a tonne of technical skill, a lot of money and a lot of people. Well, those days have changed. It is an incredible time to be making games right now. The tools available allow small teams and even individuals to create their own games without needing to be rocket scientists. And not only on the development side but the market for games today is ravenous. People cannot get enough of games and now more people than ever can and want to access them. Suddenly making a game seems like the most obvious thing to do. After looking at the various development kits available such as Unity, Cocos 2dx, Love, Gamesalad, GameMaker and Stencyl, it turned out that the one I had heard of originally, ‘Corona‘ was the right fit for me. 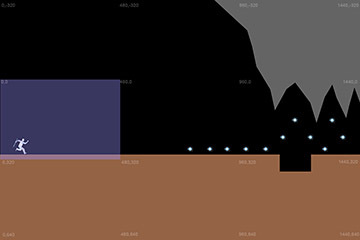 It is cross platform for iOS and Android, has a built in Box2D physics engine and uses a simple language known as LUA. I was interested in learning to program so wanted an SDK that would allow me to learn which knocked out the ‘drag and drop’ engines like game salad. I also knew I wanted to go 2D so I could easily create the art myself so that ruled out Unity which is a 3D engine. After the last couple of months of learning in my spare time I’ve started to get the hang of Lua coding and started putting the foundation of my game together. In the next post I will talk about how I began learning the basics of coding and making games and how I decided on what kind of game to make first. This page will be a devlog where you can watch rough concept art and jumping squares become a full mobile game for iOS and android. 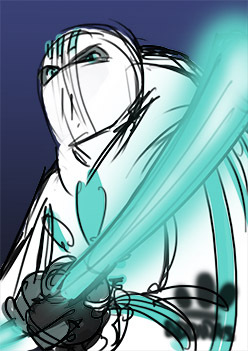 I’ll be posting about how I’m learning to go from an artist that has little programming experience to a game developer. 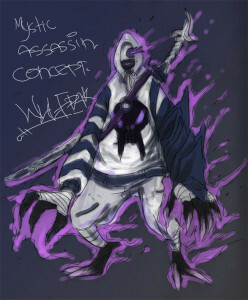 I will post about what I’m learning such as the tools, code and art and also about my thoughts on the game’s design. So jump in keep in touch and let me know your thoughts!